In this four-part series, we are showcasing each prototype being served by the U.S. Dairy Export Council (USDEC) at the Institute of Food Technologies (IFT) Annual Meeting and Food Expo 2017. Our last prototype, the reduced-sodium protein udon soup, will be featured at Booth 2270. What is the Reduced-sodium Protein Udon Soup? The reduced-sodium protein udon soup is a noodle and Asian broth dish that showcases high-quality protein and a sodium alternative. Whey protein concentrate (WPC) gives this soup 11 grams of protein per serving, while whey permeate enables it to have 45% less sodium than similar products on the market. To add convenience and easy preparation, the Asian seasoning comes in pre-measured packets. These main features meet four of the top food and beverage trends among consumers: reduced sodium, high-quality protein, globally-inspired flavors and convenience. Why does it matter to consumers? Diet-friendly pasta: Globally, 73% of consumers have changed their opinions about the food they feel good about eating. It was found that 81% care more about the quality of ingredients and 83% choose healthier recipes.1 Many consumers are making this change due to altering dietary recommendations, such as sodium consumption. Now, low sodium is preferred among consumers, but it is essential that taste is not impacted. What can this prototype do for you? The ingredients found in milk can increase the desirability of foods and beverages by replacing or reducing unwanted ingredients. As mentioned above, reduced-sodium is a purchase driver, and whey permeate, a dairy ingredient found in milk, can replace sodium while preserving the salty taste. Dairy ingredients also have a neutral taste, preventing them from interfering with intended tastes. This is a benefit for brands looking to achieve authentic, globally inspired tastes. 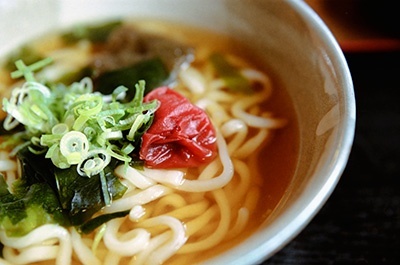 Lastly, dairy ingredients add high-quality protein to the reduced-sodium protein udon soup. A quality that most other protein sources in the marketing cannot meet. In fact, 75 grams of pasta would be required to meet the same amount of protein without added dairy proteins. This dish demonstrates how dairy is the whole package, from nutritious to versatile to tasteful. To learn more about the reduced-sodium protein udon soup, download the formula sheet or visit USDEC at IFT 2017, Booth 2270, for more information. Check back next week to learn about the Reduced-sodium Protein Udon Soup.